My book tour starts today + My book GIVEAWAY! My book tour starts today + My book GIVEAWAY! 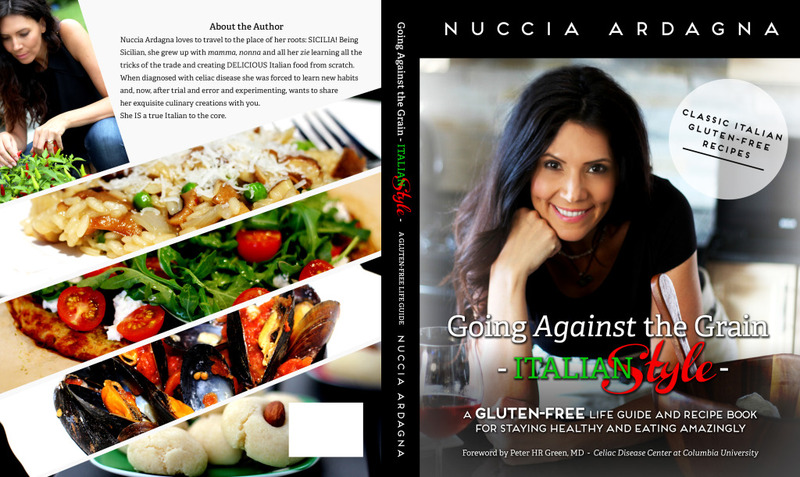 As you are all pretty much aware, my book “Going Against The Grain – Italian Style! 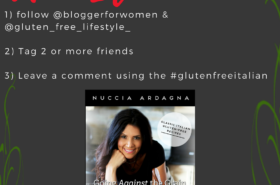 A Gluten-Free Life Guide and Recipe Book for Staying Healthy and Eating Amazingly!” was released and published in November 2014, and the Kindle format was released this past January 2015. I will take this opportunity to sincerely thank all who have supported me whether by purchasing a book, downloading the ebook or simply being there for me! When I offered a ‘free’ downloadable electronic copy of my book back on April 22nd, 2015 (a one-day super promo) I was overwhelmed to see that there were 886 downloads on that one single day! I sincerely hope you all enjoyed it and once again, I thank you all as that meant so much to me! The details of the book as well as the book tour and book stops are here below. This two-part book is a vital adjunct to any home attempting to be gluten-free. The first part guides you through early diagnosis and is an essential guide for any beginner diagnosed with celiac disease or some form of gluten sensitivity. You will learn how to identify symptoms of the disease, how celiac disease is diagnosed, and the consequences if left untreated. 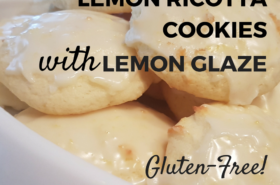 It will help you to understand how to read labels and how to manage your gluten-free home in a shared environment. It outlines practical advice for parents of children with celiac disease as well as tips for eating out and dealing with social settings such as special occasions or when traveling. Honorary foreword provided by renowned Dr. Peter HR Green, MD – Celiac Disease Center at Columbia University. You can also stop by my Author page to leave your comments and thoughts there too. Feel free to stop by and encourage the book reviewers/bloggers with your comments! I would certainly appreciate that and I’m sure they will too! As always I appreciate any comments from my readers so if you have any questions I am here. It’s such an honor and pleasure to be promoting your book. 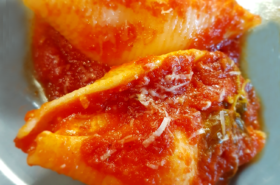 Your recipes are truly authentic and delicious!